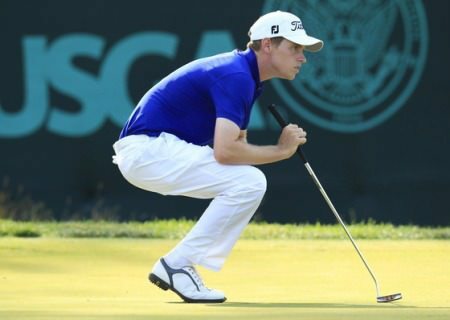 Getting back on tour would be a dream come true for the Waterville man but he knows he must continue to hole the putts as he chases a place among the top 25 and ties will be awarded tour cards at the end of the gruelling, six-round test. “I played well today and I’m delighted with my position,” said Higgins who didn’t have to hole a putt longer than 15 feet on a flat calm day at the 36-hole complex just over an hour north of Barcelona. “As I said yesterday, you have score well on the Tour Course because the other one is very tough. Overnight leader Estanislao Goya of Argentina hit a one under 71 on the tough Stadium Course to lead by a stroke on seven under from a quintet of players including Finland’s Mikko Korhonen who shot a 62 on the Tour Course. His play appeared to inspire playing partner O’Keeffe, who moved to within two shots of the top 70 who will make the four-round cut after picking up seven birdies in a 65 he reckoned could easily have been a 60. Seven under for his round with five holes to play, the Muskerry assistant bogeyed the fifth and then three-putted twice coming home - for par at the long seventh and for bogey at the ninth, where his slick 20 footer missed well to the right and he pushed the three-footer for par. “That was a round that had to happen,” said O’Keeffe, who moved up 50 places to joint 100th on four over. “Obviously after starting with 81 it’s a tough battle but I knew I was playing well and I’d prepared well. “A few putts got away from me and it could have easily been five shots better. I was three under going out and left three shots behind me and definitely left three behind me coming in, three-putting the par-five seventh, missing a good chance from about eight feet on eight and then three-putting the last. Simon Thornton works on his putting following a disappointing finish to his second round,a three over 75 on the Stadium Course at PGA Catalunya Resort.Ballymena’s Chris Devlin shot a one over 73 on the Stadium Course to share 66th spot on two over with Dubliner Niall Kearney a shot further back in 83rd after putting poorly for a 72 there. Devlin broke his driver in practice but none of the replacements he has used have pleased him and he lost confidence with the big stick over his closing nine holes, which he played in three over par. “I was getting it around just fine but I hit it awful on the back nine,” Devlin said. “I hit a disconcerting tee shot on my ninth hole but managed to make a par. But that seemed to seep into my driving on the back nine. Kearney made three birdies and three bogeys with all three birdies coming on the par fives. I played well but I am putting really badly,” Kearney said. “It’s disappointing. Chris Devlin knows he has to loosen up, get aggressive and make some putts. Royal County Down’s Simon Thornton headed straight for the putting green after finishing with back-to-back bogeys for a three over 75 that left him tied with O’Keeffe on four over while Lurgan’s Gareth Shaw followed an 81 on the Stadium Course with a three over 73 on the Tour track to slip to the back of the field on 12 over. After missing several birdie chances early in his round Shaw racked up a triple bogey seven at the fifth. And while he came home in one under with three birdies on his card, he had a bogey at the 13th and double bogeyed six the 17th. “I hit 14 or 15 greens but the bad shots are not good enough and I’m not holing any putts,” Shaw said. “I just couldn’t get anything going. 162 D Wuensche (Ger) 86 76. David Higgins two putts the par-five 18th on the Tour Course for his sixth birdie of the day at PGA Catalunya. David Higgins drew on his vast experience to keep his cool and open with a five under par 65 at the European Tour Qualifying School finals on an otherwise frustrating day for Ireland’s hopefuls.